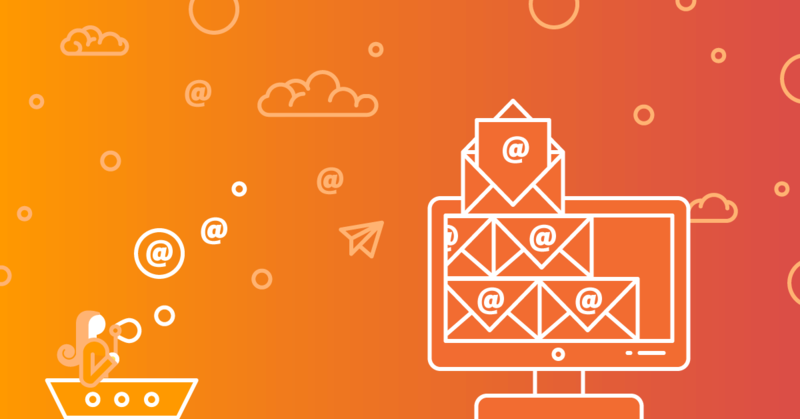 You can change your email account password through cPanel » Email Accounts or through Webmail. You can change your password through cPanel without entering your current email account password. To change your password through some of the Webmail clients you will first need to use your old password to log into Webmail. 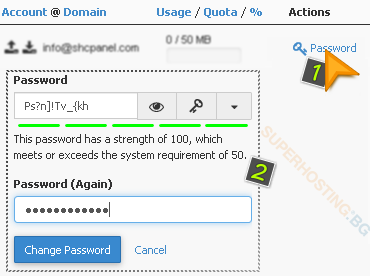 To change the password through cPanel click on Email Accounts. Under the Email Accounts section you will see a list of all your email accounts. To change the password of an email account, select Password and Authentication (1) next to the respective account. You do not need to enter the old password. Enter the new password in the two fields required (2), then click Change Password. We recommend that you use the Password Generator to create a strong password. How to Set Up an Email Account (a Mailbox)? How to Check Your Email Using Webmail?